BBC defends quality of HD broadcasts | What Hi-Fi? Some viewers have complained of fuzzy and grainy pictures after the Beeb replaced the original HD encoders with new ones in August 2009. 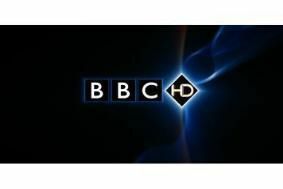 But the head of BBC HD, Danielle Nagler, says that despite a series of tests, no technical fault can be found. "Not all HD programmes have the bright, crisp look which is synonymous with HD," she wrote on the BBC's internet blog. Camera and production techniques all affect the overall quality, she said. The replacement HD encoders work at a bitrate of 9.7Mbps (megabits per second), while the original ones worked at a higher 16Mbps. Earlier this year, the BBC admitted to teething troubles with the new encoders, telling whathifi.com that there was "a reproducible problem on certain types of material which does not go away if higher bitrates are used". At the time the Corporation referred the matter to the coder manufacturer to investigate further. But now it says no problem can be found. Let us know what you think. Have you seen a deterioration in BBC HD quality in recent months? Read more about this issue on our Forums.